When God pours out his love, our parched lives are revived and our thirsty souls satisfied. What is the secret of receiving more of God's love and of giving it freely to others? 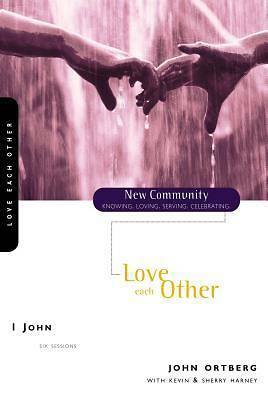 The book of I John calls us back to the basics of loving God and one another. Do you long to experience God's mercy and goodness in deeper ways and extend them to others? Would you like his love to fill you up to the point where it overflows naturally into the lives of others? This study of I John will help you and your small group experience the refreshing rain of God's love in ways you have always wanted. New Community Series -- a high-impact tool for experiencing the transforming power of God's Word. This cutting-edge series lets you explore life-changing topics from a biblical perspective in community with others in your small group. Challenging questions encourage you to reflect on Scripture and its impact on your life, both as an individual and as part of a community of Christ followers.